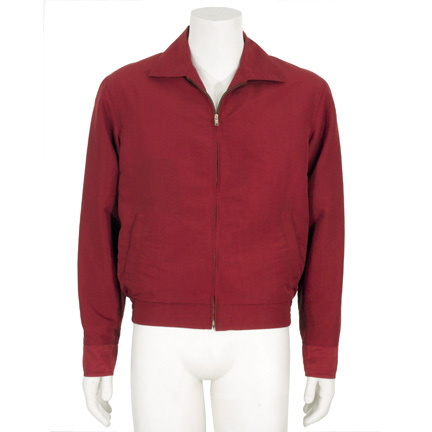 This jacket was worn by the character “James Dean” portrayed by actor James Franco in the 2001 made-for-television movie “James Dean”. 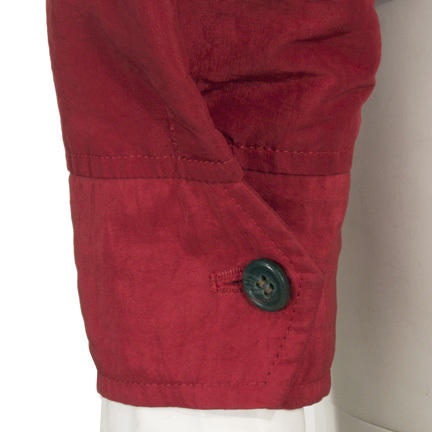 The zip front jacket is constructed of red nylon with orange quilted lining and has the John David Ridge designer label sewn in the interior with “Mr. 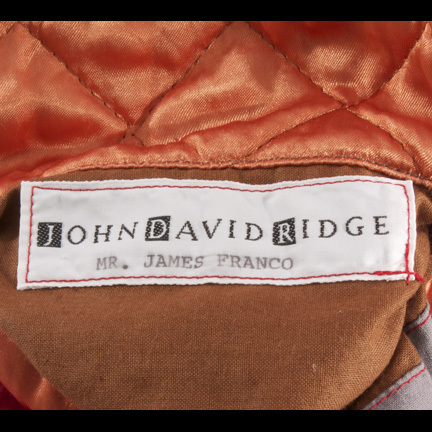 James Franco” clearly typed. 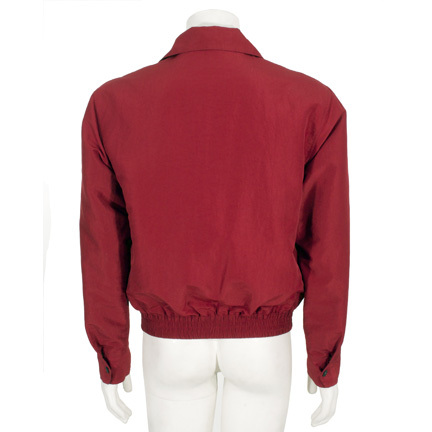 The garment was custom made for the actor and is an exact reproduction of James Dean’s signature windbreaker worn in the iconic film “Rebel Without A Cause” and featured on posters and promotional images for the film. 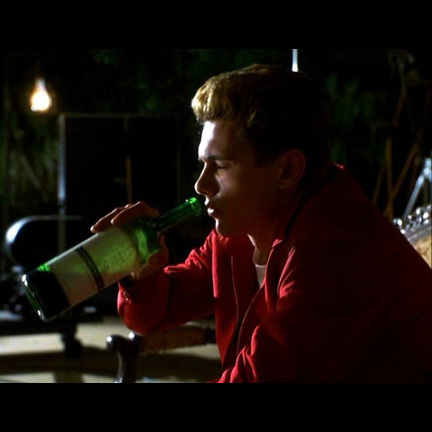 The iconic image of Dean wearing the jacket while smoking became one of the top selling and most licensed celebrity images of all time. 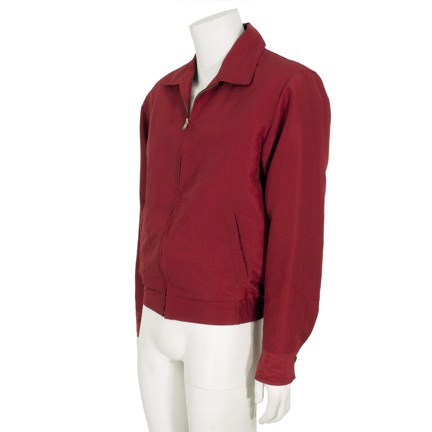 Mr. Franco wore this garment in numerous scenes depicting Dean’s life during filming of the classic movie that launched him into stardom and made him a household name. 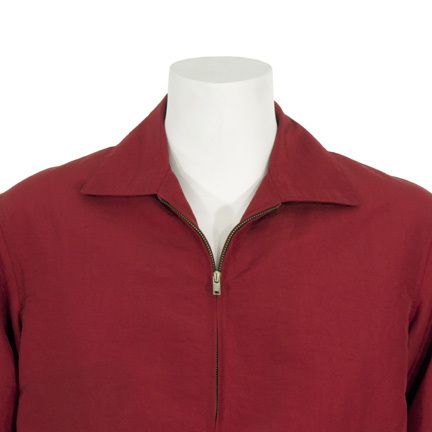 The garment is in very good screen worn condition and is accompanied by a letter of authenticity. 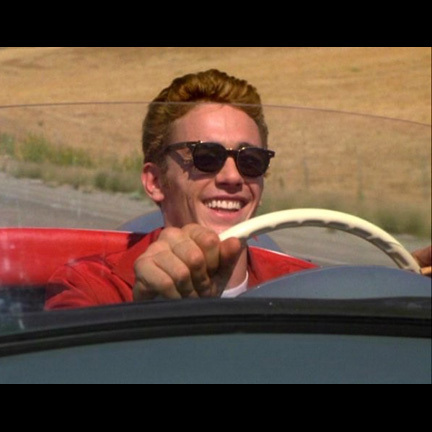 “James Dean” won an Emmy in 2002 for Outstanding Art Direction for a Miniseries, Movie, or Special, and Mr. Franco was nominated for Outstanding Lead Actor in a Miniseries or Movie. 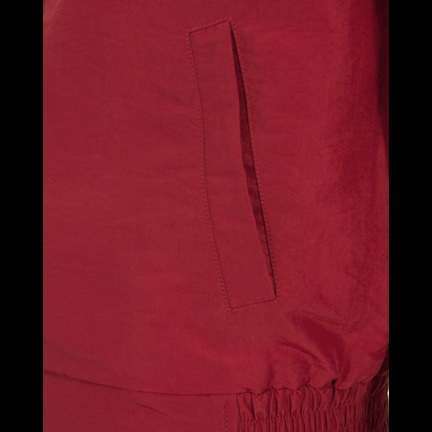 The actor also won a Golden Globe for Best Performance by an Actor in a Mini-Series or a Motion Picture Made for Television for his work on the production.